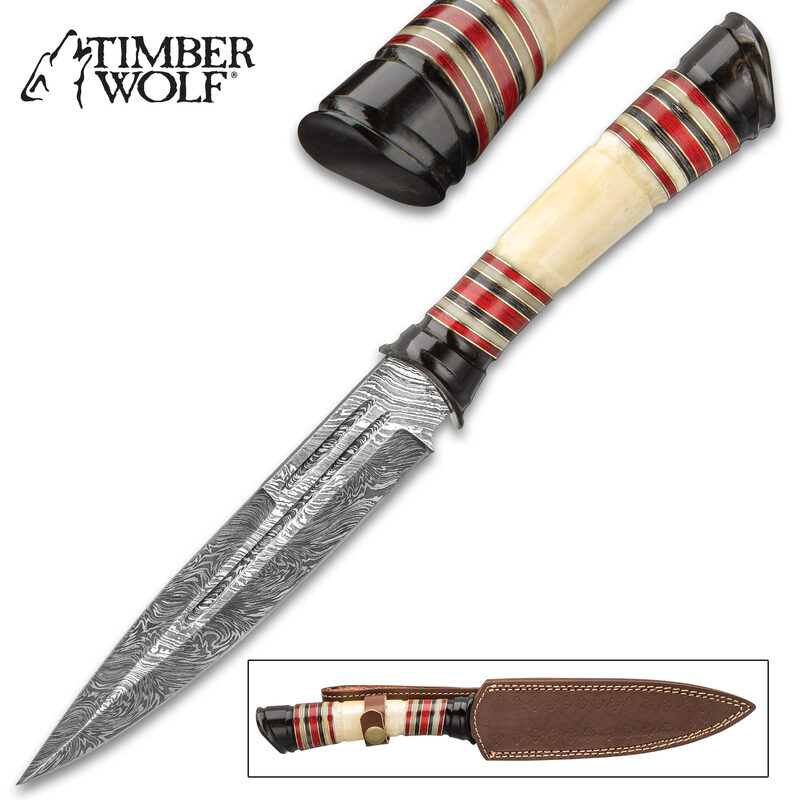 Timber Wolf Mykonos Fixed Blade Knife With Sheath - Damascus Steel Blade, Genuine Horn Handle, Brass Spacers - Length 13 1/2” | BUDK.com - Knives & Swords At The Lowest Prices! Inspired by the legendary Greek island, the Timber Wolf Mykonos Fixed Blade might have been used by Hercules when he faced the giants there. 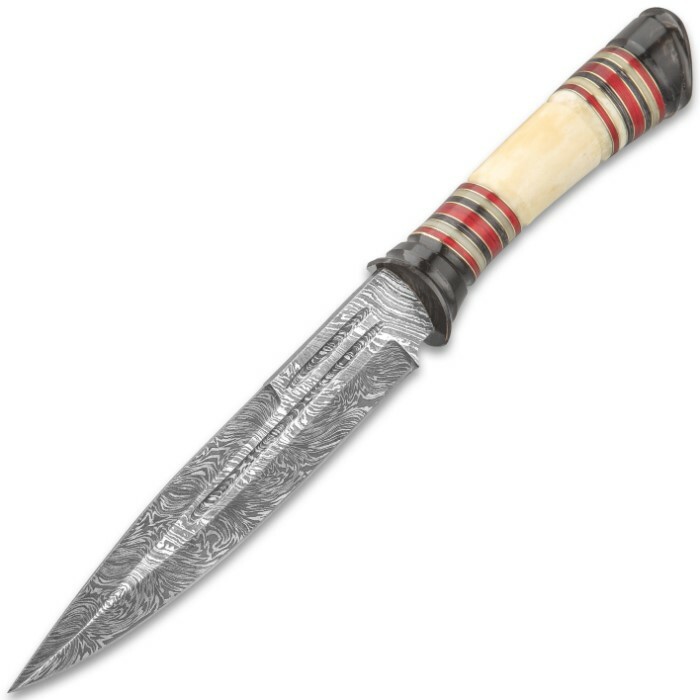 It has a keenly sharp, 7 1/2” Damascus steel blade with full and partial blood groove accents, filework on the spine and a beveled edge. 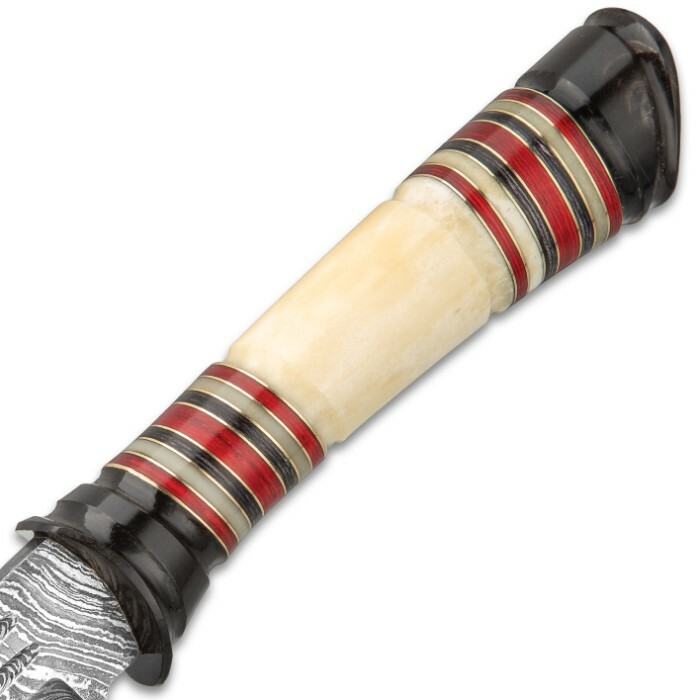 The handle is elegantly crafted of genuine bone and horn in bands of white, red and black, separated by brass spacers. 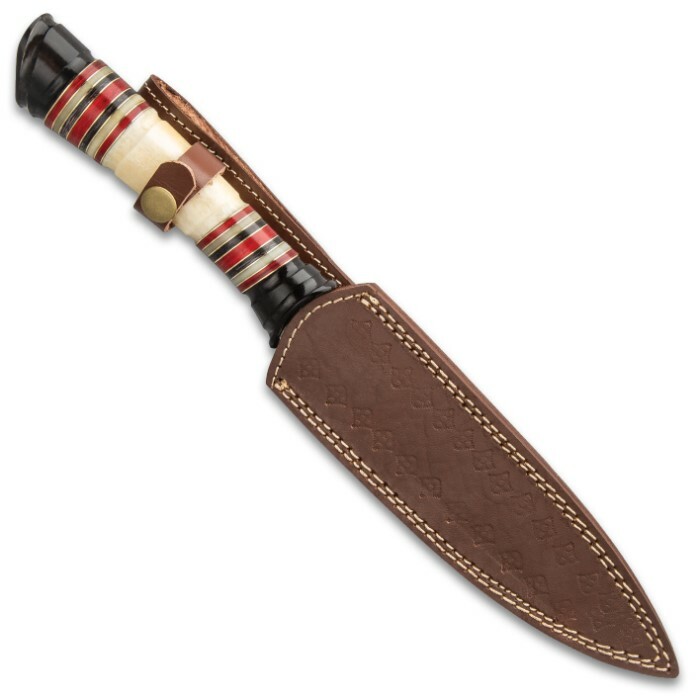 The 13 1/2” overall fixed blade knife fits like a glove in its premium, genuine leather belt sheath, which has white top-stitching. This is truly a beautiful and functional knife to add to your collection or to start your collection with!